Take advantage of recreation opportunities such as an outdoor pool or take in the view from a terrace and a garden. Additional amenities at this pousada include complimentary wireless Internet access, a television in a common area, and tour/ticket assistance. A complimentary buffet breakfast is served daily from 8 AM to 11:30 AM. Take advantage of recreational opportunities offered, including an outdoor pool, a spa tub, and a sauna. 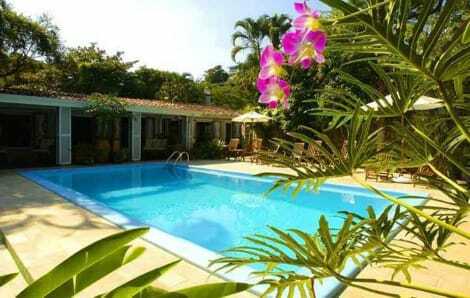 Additional features at this pousada include complimentary wireless Internet access and an arcade/game room. 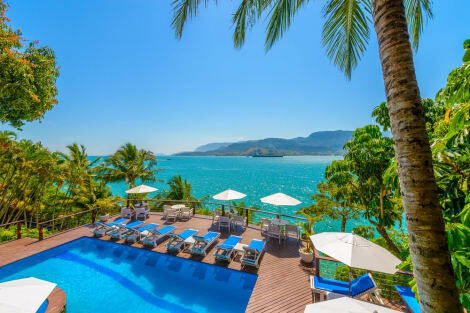 Located in Ilhabela, Kalango Hotel Boutique is within a 15-minute drive of Cabras Island and Vila Beach. This hotel is 3.1 mi (4.9 km) from Sao Sebastiao Port and 4.8 mi (7.8 km) from Grande Beach. Head down to the water and enjoy a day at the private beach, or take advantage of other recreational amenities including a health club and an outdoor pool. Additional amenities at this hotel include complimentary wireless Internet access, concierge services, and an arcade/game room. Property Location With a stay at L'Eden Pousada Boutique in Ilhabela (Cocaia), you'll be convenient to Pereque Beach and Nautica Mistral Marina. 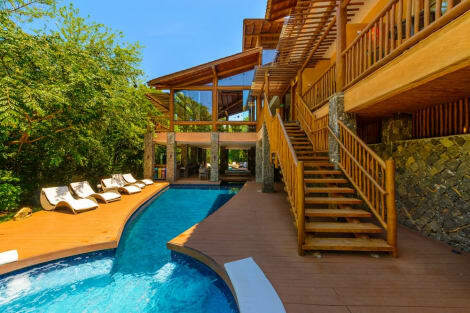 This pousada is within close proximity of Narwhal Ilhabela and Agua Branca Waterfall. Rooms Make yourself at home in one of the 12 guestrooms featuring minibars and DVD players. Rooms have private balconies or patios. 40-inch LCD televisions are provided, with satellite programming available. Private bathrooms with showers feature designer toiletries and hair dryers. Amenities Take advantage of recreation opportunities such as an outdoor pool or take in the view from a terrace and a garden. Dining A complimentary buffet breakfast is served daily. Business, Other Amenities Featured amenities include multilingual staff, luggage storage, and coffee/tea in a common area. Free self parking is available onsite. lastminute.com has a fantastic range of hotels in Ilhabela, with everything from cheap hotels to luxurious five star accommodation available. We like to live up to our last minute name so remember you can book any one of our excellent Ilhabela hotels up until midnight and stay the same night.